U.S. Secretary of State Mike Pompeo told a congressional hearing on Wednesday that the Trump administration is still working “all across the government” to identify and hold accountable anyone responsible for the murder of Saudi journalist Jamal Khashoggi. Questioned at a House of Representatives hearing, Pompeo said he would commit to holding anyone accountable who was found to be responsible, even the most senior officials, a reference to powerful Saudi Crown Prince Mohammed bin Salman. 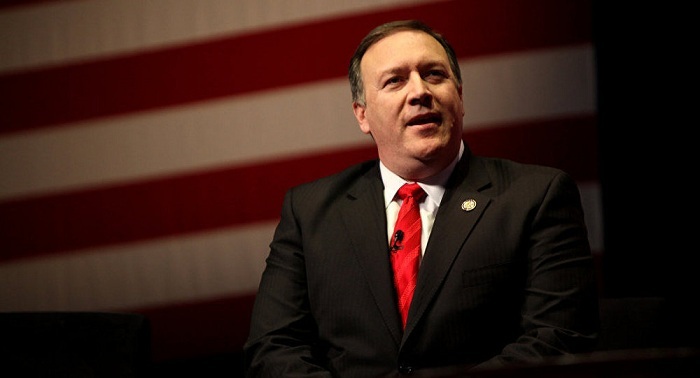 “We will continue to work to identify those who are responsible for Jamal Khashoggi’s murder and hold them accountable,” Pompeo told the House Foreign Affairs Committee. Khashoggi, a Washington Post columnist, U.S. resident and critic of the Riyadh government, was killed at a Saudi consulate in Turkey in October. His death fueled simmering discontent in Washington over Saudi Arabia’s human rights record and heavy civilian casualties in Yemen’s civil war, where a Saudi-led coalition is fighting Iran-backed Houthi rebels. Lawmakers have been sharply critical of Mohammed bin Salman. Some blame him for Khashoggi’s killing and other human rights abuses. Eleven suspects have been indicted in Saudi Arabia in Khashoggi’s murder. Riyadh has denied the crown prince ordered the killing.